11. Information about the founder. In the mid seventies Olof Holmberg was a student at Technical University of Luleå, located in the Northern part of Sweden where he was studying an engineering program called M. Sc. in Applied Mechanics. During this period as a student at the university, he was also chosen chairman of the board of the student union. He held this position for one year and became during this period involved in education and training within a broad, pedagogical and social perspective. Olof Holmberg. His job was to establish a new MBA program for leaders in small and middle-sized companies. It was a one year long management training program specially designed for handling problems with owner and management successions among small and middle sized companies in the Northern region of the country. The government and some regional authorities financed the program. Participants in this MBA program where chosen among inheritors to family companies or university- graduated individuals with at least ten years experience of work as engineers or economists in leading positions. During the education, the students participated in both theoretical studies and practical activities. In this training program it was a major ambition to test theory in real life situations to prepare the participants for the jobs they where about to get after the program. A large number of institutions and companies such as bank’s, joint venture capitalists and governmental institutions where the participants could obtain experience as well as useful contacts where involved. Picture above/ Report on the MBA program. This is the report on 70 pages from the pre-study Holmberg did before the MBA program began. It became a report that attracted rather much attention due to the fact it was the first attempt to do something like this in Sweden. During the period as responsible for the MBA program at the University Holmberg also worked as an independent consultant. He carried out a number of assignments within the private and the public sector regarding business and regional development. One example was the development program for companies in peripheral regions in order to improve their export. This was a training program for sale persons in companies that had export activities or was about to establish export activities. The training program was tailor made for each participant and company. Picture above/ Report on Export improvements . After four years in charge of the MBA program at the university, Holmberg was requited to LKAB. This is a global company and the biggest mining company in Sweden with at the time approximately ten thousand employees. At LKAB he became responsible for management training and deeply involved in organisational development. During this period, he had the opportunity to develop an extensive experience from change and transformation management activities within the Swedish mining industry. The department Holmberg worked at became after a while a business unit with a profit and loss responsibility and finally it became reconfigured into a subsidiary within the LKAB group. After four years at LKAB Holmberg become a partner within a management consultancy firm called Svartögården. This was a buy out solution and the new owners were the senior officers from the subsidiary at LKAB responsible for management training and organisational development. Since it during a couple of years had been a strong request for services from external customers and that other competitors already tried to buy the subsidiary owned by LKAB it became obvious that the best idea was to sell the subsidiary. The owner decided to sell the company to the senior consultants involved and this is how Holmberg became one of the owners. The new private owned company Svartögården, was still responsible for the management training within LKAB and had assignments for this training and other types of services for many years. Along with this, the company had many other customers representing different types of operations and businesses. 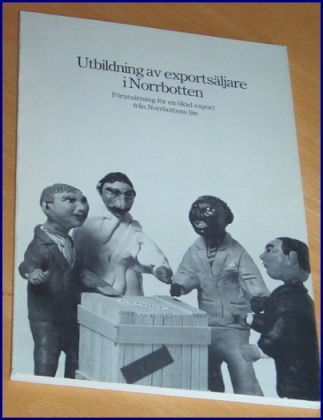 During the late eighties Holmberg decided to sell his share in Svartögården and establish his own company. The new company was still in the same field of competence but with a slightly different direction and approach then Svartögården. The new company called R Holmberg Consultancy AB was in particularly more open for international assignments. During the period from the late eighties until today, Holmberg have been working with a number of different assignments. For example were some comprehensive projects regarding executive search carried out during the late eighties and in the beginning of the nineties. 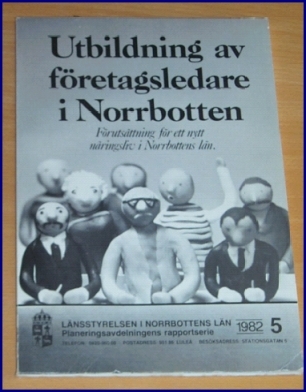 It was also during the late eighties when Holmberg worked with some major projects within the communication sector. He was over several years deeply involved in the completely reconfiguration of the Swedish railway system where the infrastructure became separated from the traffic oriented operations and several new companies became established. Sweden was the first country in the world that did this. The infrastructure got its own organisation called Banverket who became responsible for the complete infrastructure. The traffic operation became divided into several different companies basically depending on if they where dealing with Cargo or person transportation. Furthermore, in the early 90th was the period when Holmberg (with family) during a couple of years lived and worked abroad and had assignments for Aid agencies like the World Bank and SIDA (Swedish International Development Cooperation Agency). The reorganisation of Botswana Railways is an example of this. The background was that it had been a horrible drought and several years of bad crop in the central parts of Africa and people were dying of starvation and lack of medicine. Because of the war in Angola and the civil war in Mozambique it was not possible to use any harbours or transportation there. The only possibility for UN and other Aid organisations to transport food and medicine to the effected areas and the starving people were to use the harbours in South Africa and the Railway through South Africa, Botswana, Zimbabwe, Zambia and Malawi. All these countries are members of the SADC countries and do to some extent co- operate regarding railway related issues. In particularly was this the case in training situations regarding signalling equipment. Unfortunately, the Botswana Railways had not been really working for some decades and it became therefore necessary to make it operational again. In the beginning, there were major problems and not much that worked within the railway operation. It was not even an organisation fully in place and the training needs for staff involved were enormously big. Things like culture for quality and security thinking where completely missing. Hoverer, there was a number of very talented, well- educated and ambitious young local staff that was eager to learn how to make the operation be up and running again. This in combination with a large number of expatriates from all over the world made it possible to make the railway become working properly and became the crucial component in the transportation system for food and medicine it was supposed to be. That is, it became operational enough to support the people in need, within the effected areas in the central parts of Africa. During the mid 90:th became the already established relations with the telecom sector heavily intensified and also the cornerstones to what became the dominating type of customer Holmberg Consultancy have been working with during the last two decades. Within the telecom sector, Holmberg has been working with a huge number of different assignments. Some of the very large work has been related to the transformation of old technology driven hardware oriented telecom operations into customer driven service providers operating in a global perspective and in far more than 100 countries. During the major telecom crisis in the beginning of this century, Holmberg Consultancy had a number of comprehensive assignments regarding change and transformation management. In particularly what regards a reorganisation of R&D activities where R& D in almost 80 countries became focused into less then 20 countries effecting thousands of people. During the late 90: th did Holmberg began to work together with companies within the nuclear industry. The assignments were primarily about organisational development, government models, process-oriented activities, and to some extend also including training activities. Holmberg has been a member of Rotary International since 1986. The texts above do indicate what the founder of the company R Holmberg Consultancy has for knowledge and experience. It is not possible to describe everything that happened during almost 30 years and perhaps should be included. Aspects’ regarding confidentiality is crucial to us. We have a policy that we never give away information about our customers and we stick to it.